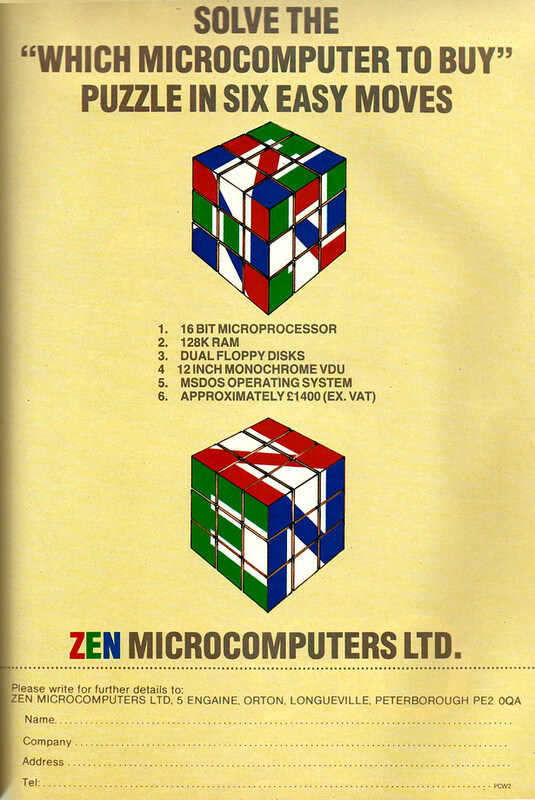 There's nothing quite like an advert without a photo of the thing you're selling to really promote it, although this one does at least feature a custom Rubik's cube. That's maybe because this appears to be just another "beige box" IBM-a-like, and judging by most of the other clones being released at the time, if you've seen one you've seen 'em all. The Zen had a fairly standard spec and retailed at £1,610, or about £5,410 in 2019.